For the past decade, business pundits and predictors have focused on the automated future of manufacturing. 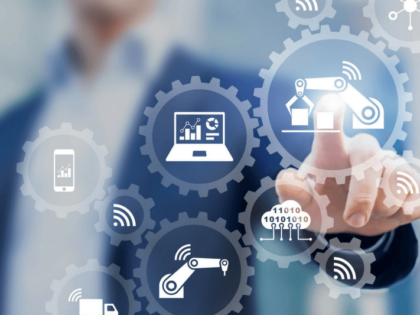 Companies that want to thrive in this technological utopia are advised to adopt new technologies, new efficiencies, and ready themselves for revolutionary changes to their production floors. 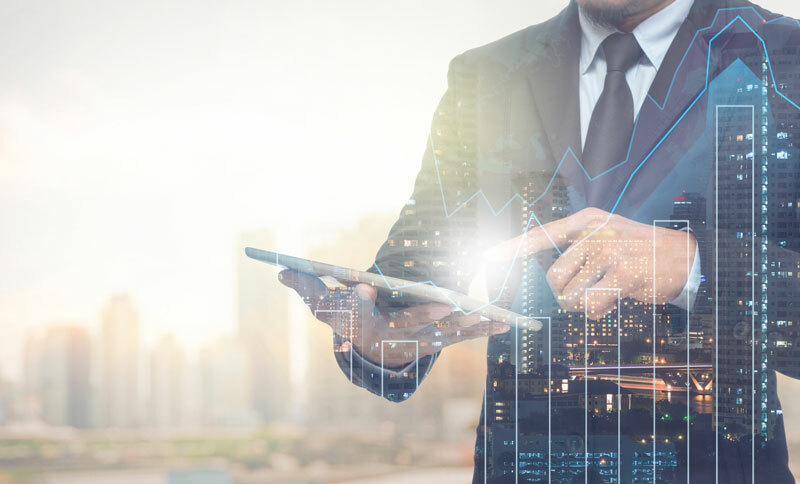 They are right—envisioning the future is important, but it can inadvertently cause us to neglect the most fundamental element that makes businesses function and grow: effective cash flow management. Cash is the oxygen of business. Without it nothing functions. It doesn’t matter how great your product, how innovative your production system, or how progressive your business culture is. IF YOUR CASH FLOW IS NOT HEALTHY, YOUR BUSINESS WILL NOT SUCCEED. As marathon runners need enough oxygen to circulate throughout their bodies from start to finish, businesses need adequate cash flow to fund their operations. How far could you run if your lungs lacked oxygen? Fewer than 50 percent of manufacturing startups survive past their fourth year. The number one reason for their failure: cash flow problems. The irony of cash flow troubles is that they are very common in growing manufacturers. As demand for their products increases, small- and medium sized companies find themselves absorbing costs to fulfill orders and languishing as they wait for clients to pay. This pattern quickly forms into a perfect storm of diminishing cash, rising debt and, eventually, inconsistent production. As the company scrambles to continue operations without enough cash, incoming orders start to fall behind, overdue payable accounts stack up, late penalties increase, and profit margins shrink. And it all happened while growing! The key to navigating your company’s growth spurts successfully is effective cash flow management. 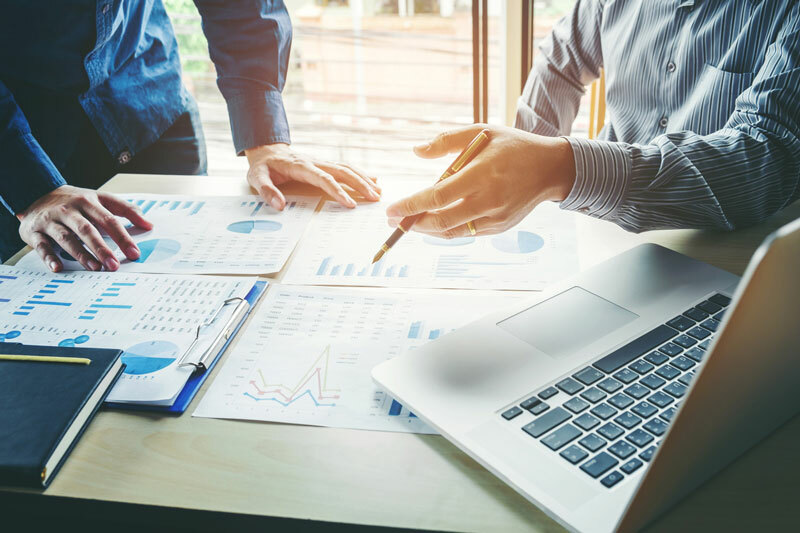 The following five methods of protecting your cash flow are essential to successfully raise your business to the next level. You cannot fix what you cannot see. A company’s cash conversion cycle can diagnose that a problem exists in the company’s overall health, but it does not tell you where the problem lies. To understand how you can improve cash flow throughout your operations, you should analyze your order/payment cycle—the amount of time from receipt of an order to receipt of payment. An effective way of doing this is to track a single order through the full cycle and then compare that real-life process to how your processing system is supposed to work. The most important thing to understand about your order/payment cycle is that it can always be shorter—always. Inefficiencies in business processes are like weeds in a garden: they drain energy from your soil and strangle your plants. However, they also are a natural, relentless occurrence—you are never done getting rid of them. A critical review of your order/payment cycle should be a normal and ongoing process of your business. Many manufacturers suffer from over-optimistic forecasting. Over-optimistic forecasts are based on the assumption that things are going to work like they are designed to work. The problem is that nothing ever does. Boxing trainers will tell you that the punch that knocks you out is the one you don’t see coming. Likewise, the key to navigating changing market conditions is to predict them. Keep your financial forecasts conservative. If your accounts receivable is net-30, plan for net-60. Remember, there is no harm in exceeding expectations. The number one reason companies have cash flow problems is late payments from clients. Your most important line of defense against this is your collections department. Successful collection departments are highly organized operations. Invoices can be categorized by priority, focusing collections efforts on large accounts first and then dealing with the smaller sums. Operations also can be analyzed using metrics such as DSO, calls per hour and average collections per call. It is also important to use contact calls to gain institutional knowledge about your clients. Tracking a client’s payment history, logging their difficulties posting payments, and using your calls to create relationships can give your collection department valuable knowledge that will help them predict problems before they emerge. There is no denying that riding a wave of growth in a business is an adrenaline-filled experience. 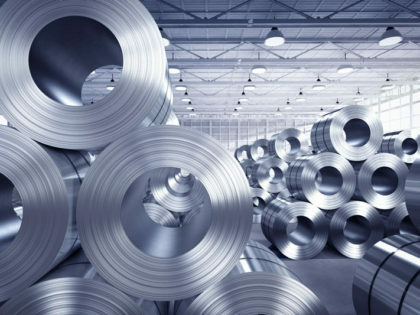 As demand grows and markets expand, manufacturers can overcommit and find themselves scrambling to satisfy a volume of orders that overwhelms their production capacity. Overcommitted, the company finds itself covering production costs for new orders, and its cash flow, now compromised, is vulnerable to late payments and other delays. Although counterintuitive, it is important to slow down and demand contract terms that protect cash flow during the growth spurt. One way to do this is to structure progress or milestone payments. By structuring the order fulfillment in stages, manufacturers can make sure that at least part of the production cost is being covered by the client. Since the order fulfillment is linked to the ongoing payment structure, the client is committed to pay in order to receive the product. The best way to secure your cash flow is to get paid early. The safest way to get paid is to partner with a financial institution and offer financing solutions to your customers. Financing ensures that you will get paid on time and helps your customers grow safely by spreading their new debt and protecting their cash flow. 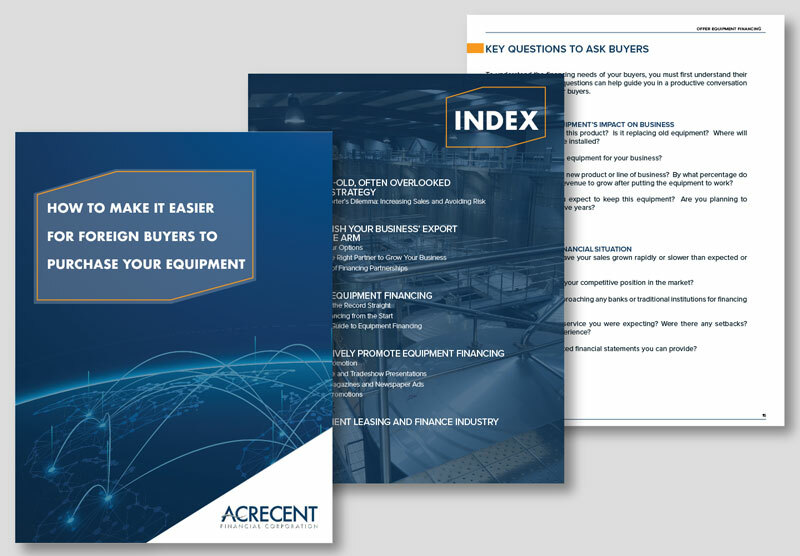 Industrial machinery and equipment manufacturers can optimize their competitive bids by including financing as part of their product package. This one-stop-shop option offers financial solutions to your customers, helps you close more deals, secures the stability of the order fulfillment, and protects you cash flow. So, how far do you think your company can run? Protect your cash flow, manage it effectively, and the possibilities are endless. Learn how to close more deals, get paid quickly and attract more customers with this free guide!